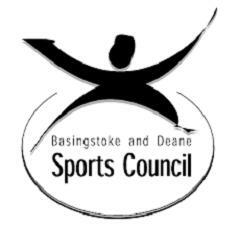 Basingstoke Sports Council (BSC) is a voluntary sporting organisation with committee members drawn from the major sports in the area to represent and support the local sporting community where applicable. They work with and for the local sports community alongside a variety of partners and primarily the borough council. They also work closely with Basingstoke Voluntary Action (BVA) and Basingstoke Sports and Physical Activity Alliance (SPAA) on club and funding initiatives. Anyone involved in sport organisations locally is welcome to attend BSC's regular meetings on request. Each year BSC co-ordinates and administers the Borough Council Grant Aid schemes. They also organise Basingstoke and Deane’s prestigious annual Sports Awards. These awards recognise and support the achievements and dedication of the sporting community within the borough. Basingstoke and Deane has strong sporting links with both German and French twin towns. The Euskirchen Festival of Sport takes place every year and is co-ordinated by BSC with the support of the borough council. Nearly 200 Basingstoke Sportsmen and Women of all ages visited Germany in June 2018 across a wide range of sporting activities and the group included Junior and Senior School teams. The weekend was a mix of culture, friendship, sport, and tourism and new sports who can reciprocate hosting are always welcome. Basingstoke were successful in winning back the trophy which has been held by Euskirchen for the past couple of years. Alternatively, please visit the BSC website for more information.